The voice of rugby league, Ray “Rabs” Warren, will call the action from from ANZ Stadium in Sydney alongside Peter Sterling, Phil Gould and Paul Vautin. James Bracey will host Nine’s exclusive LIVE and FREE State of Origin II coverage, flanked by rugby league Immortals Andrew “Joey” Johns and Wally “The King” Lewis, along with Origin legends Darren Lockyer and Brad Fittler. Lockyer, a former Queensland captain, explained what the Maroons must do to stop a NSW series win and force a Game III decider on their home turf at Suncorp Stadium in Brisbane. “The first mission for the Maroons will be shutting down Andrew Fifita, but mentally as a unit they need to hang in the fight much longer than they did in the opening match. Thurston and Slater will bring an attacking mentality to the fore as well as a sense of calm by knowing what is required to win." Viewers can get up-to-date scores, tackles and live commentary with Wide World of Sports on social media: LIKE the big moments on Facebook and Instagram. Join the chat on Twitter using #Origin. • SIX TACKLES WITH GUS – Nine’s James Bracey talks the biggest rugby league issues of the week with NRL legend and expert commentator Phil Gould on Six Tackles with Gus. This week: Will Queensland’s team changes be enough to win Origin II? Queensland’s lack of up-and-coming talent; and Gus reminisces about his time coaching the NSW Origin side. • SPORTS SUNDAY – Sunday, June 18, at 10.00am. Frank and open debate on all the big issues in the week of sport. Wally Lewis and Sharni Layton join Peter FitzSimons, Neil Breen and Emma Freedman. • SUNDAY NRL FOOTY SHOW – SOO Preview, Sunday, June 18, at 11.00am. Host James Bracey is joined by Origin legends Andrew Johns, Darren Lockyer and Brad Fittler as well as Jillaroos star Allana Ferguson. 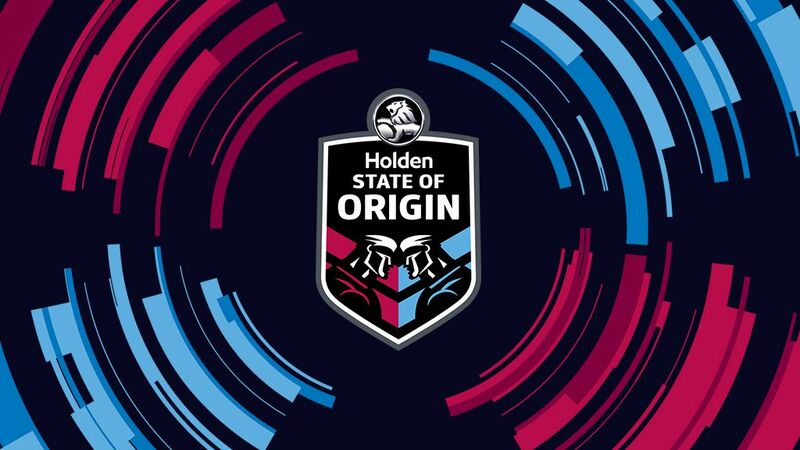 • WWOS.NINE.COM.AU – Wide World of Sports will have expert analysis before and after Origin II and Origin III, with Gus Gould to pen an exclusive column on Wednesday and Thursday on top of his Six Tackles with Gus podcast. David Middleton will run his rule over the key statistics that will determine the Maroons’ and Blues’ fate, while the WWOS team will have the latest news about each side in the lead-up to the match. • NINE NEWS, week nights from 6.00pm – Your favourite nightly news service will deliver the most up-to-date news leading into Origin II. Led by Cameron Williams and Wally Lewis, Nine’s expert rugby league reporters Danny Weidler, Neil Breen, Julie Snook and Danika Mason will have all the biggest stories from either side of the border. • NRL FOOTY SHOW – SOO Special, Thursday, June 22, at 8.30pm - The 11-time Logie Award-winning NRL Footy Show State of Origin Special will have all angles covered following Origin II with the raw emotion captured through exclusive post-match interviews - giving viewers unrivalled access to the best players in the game from the sheds at ANZ Stadium.